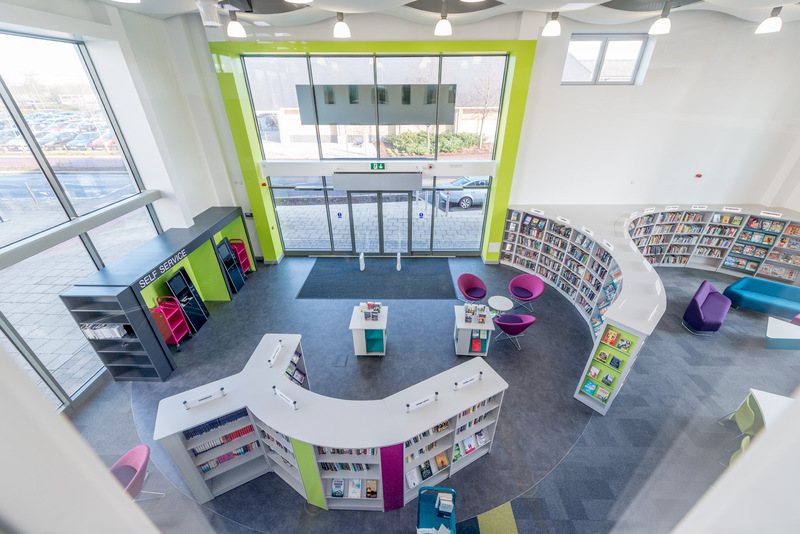 European libraries have long been a source of inspiration in library design and the Kingston Library in the United Kingdom also addresses many evolving library trends. Opening in January 2015, it became a part of the thriving Kingston Centre shopping and leisure area in Milton Keynes, a large town in Buckinghamshire, England. The new library was planned in response to the emerging demands of the town’s increasing population — one of the fastest growing in Europe. Custom curved shelving draws visitors into the space. The modern building with its vibrant interior has become an active and popular destination for the community. Less than two short months from opening its doors, the library boasted high circulation rates with 46% of its book collection out on loan. Additionally, the library has a unique service model of closing for an hour each week to host an exclusive and private story time for about 50 children and their parents. 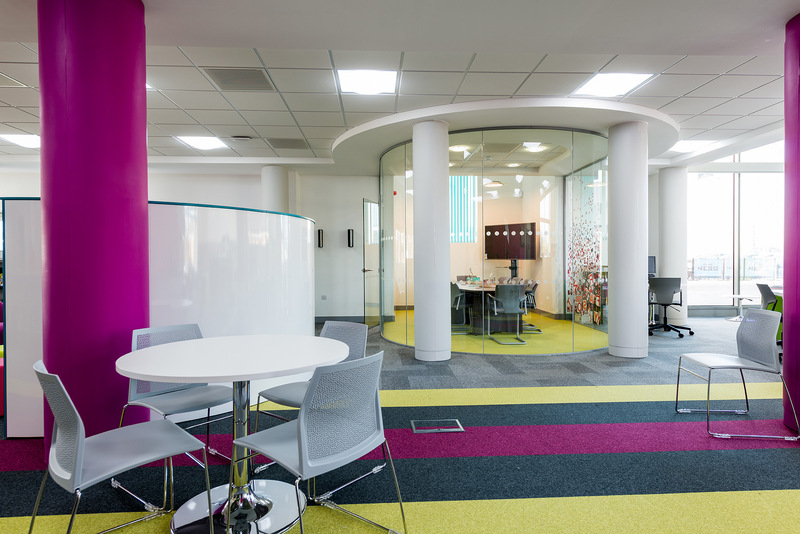 With a community centered focus, Demco Interiors UK, worked with the Kingston Library project team to develop an interior plan that was both welcoming and intuitive. Upon entering, the curved shelving bays guide customers through the space while creating subtle zones, each with something new to discover. The retail style shelving incorporates various display options and vibrant color blocking introduces a color theme that matches the library’s branding and carries throughout the space. Shelving signs use simple black and white text in an easy-to-read font and are illuminated with built-in LCD lights. Simple illuminated signs keep the library looking clutter free. Color blocking on the shelving reinforces the library’s branding. 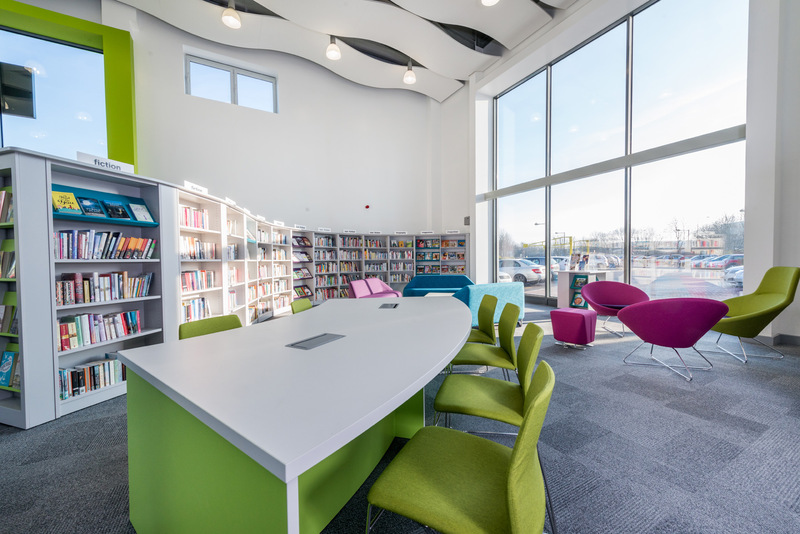 Stylish furniture, mixed with seating and study areas reinforce the library’s strong family and teen focus. The library features a variety of contemporary and colorful seating areas. The children’s area features a scribble wall and tiered, amphitheater-style seating that creates a performance area for storytelling time. 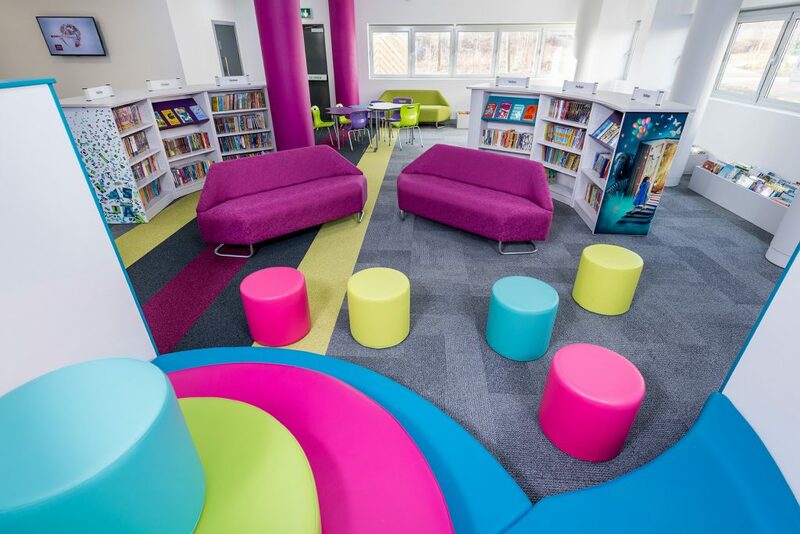 Tiered seating creates a performance space in the children’s area. The library has a variety of meeting spaces for community groups and businesses, including a meeting pod designed with an acoustical ceiling, dimmable lighting, air conditioning, large presentation screen and stylish furniture. 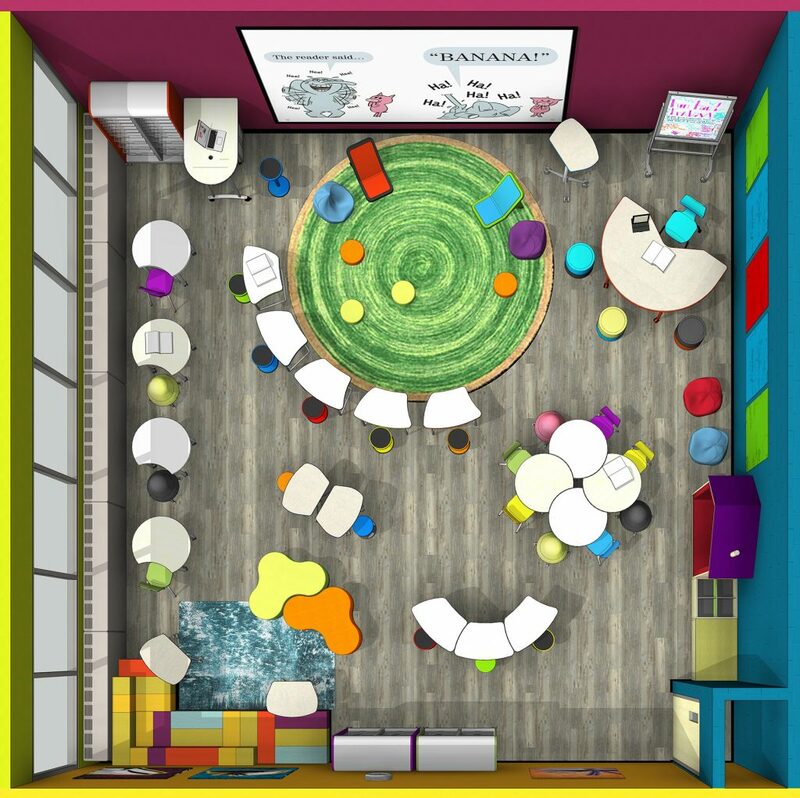 As an added revenue source for the library, the meeting pod will be available for rent to the community. A vinyl graphic — an explosion of letters designed by local, award-winning glass artist Claudia Phipps — runs around the perimeter glass of the meeting pod. A rentable meeting pod provides a revenue source for the library. 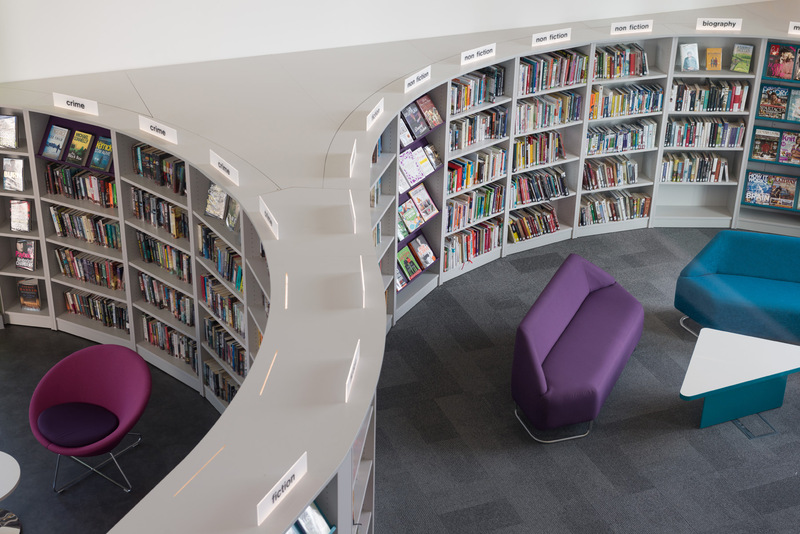 One of the Kingston Library’s primary goals was to create an agile space that was not categorized for one particular activity. The furniture is lightweight and flexible. Even the shelving has casters so that it can be easily moved. 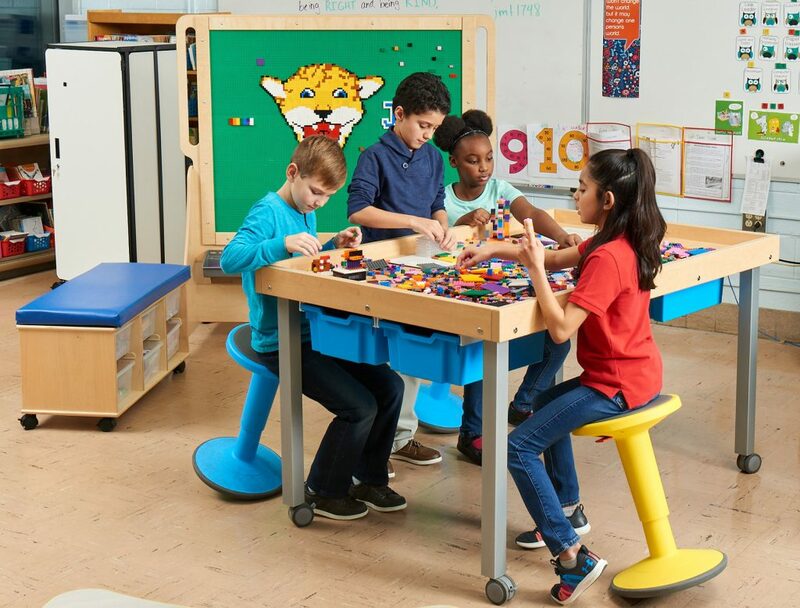 A storage room holds stackable tables and chairs which can easily be moved into the front entrance area to create a large gathering space for programs and activities. Digital signage — Digital displays positioned throughout the library promote events and services yet keep the overall aesthetic clutter free. Integrated help — Librarians use portable tablets loaded with a learning management system (LMS) app to help visitors. There are also self-service stations throughout the library so that patrons have access to resources when and where they need them most. People pleasers — Varying height workstations and study spaces match patron’s work preferences. 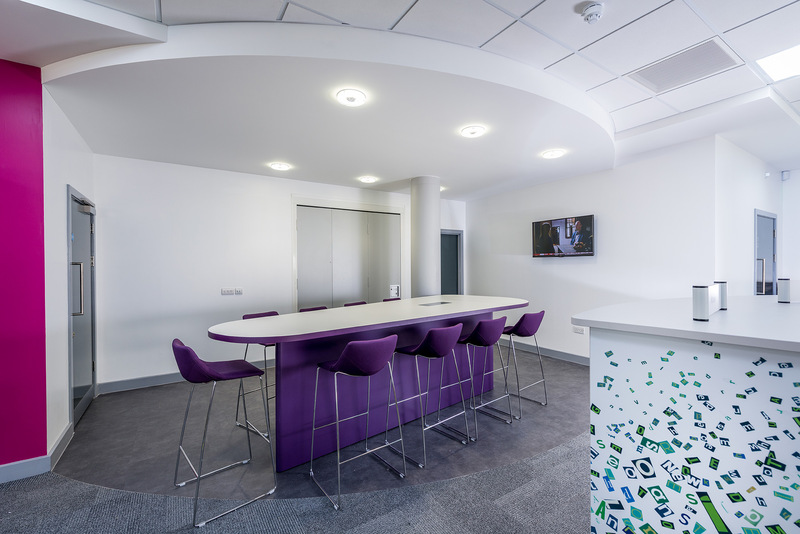 Examples of this include bar height furniture and a meeting area with its own kitchen area. Rented spaces — As an additional income source for the library, Explore Learning, a tutoring service, is leasing the top mezzanine floor. 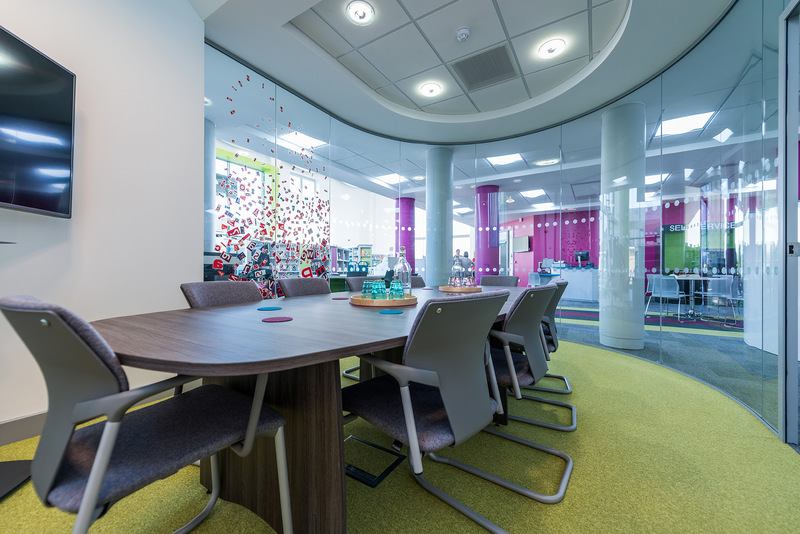 Additional spaces, including a meeting pod, are also available to rent out. A bar height meeting area with an adjacent kitchen area offers an inviting gathering space. 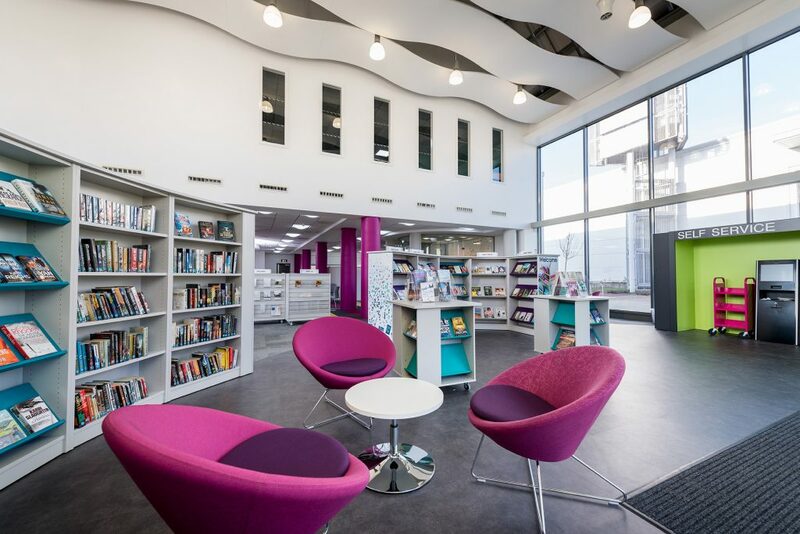 As you can see from the photos in this Library Insights, the Kingston Library was designed as a multifunctional space that attracts a wide range of audiences. From local businesses to community groups and local families — the Kingston Library truly has something for everyone. Plus, the fun and vibrant color scheme are certainly an inspiration to all of us who influence library design and architecture. Kingston Library: Is this the most modern library in the country? 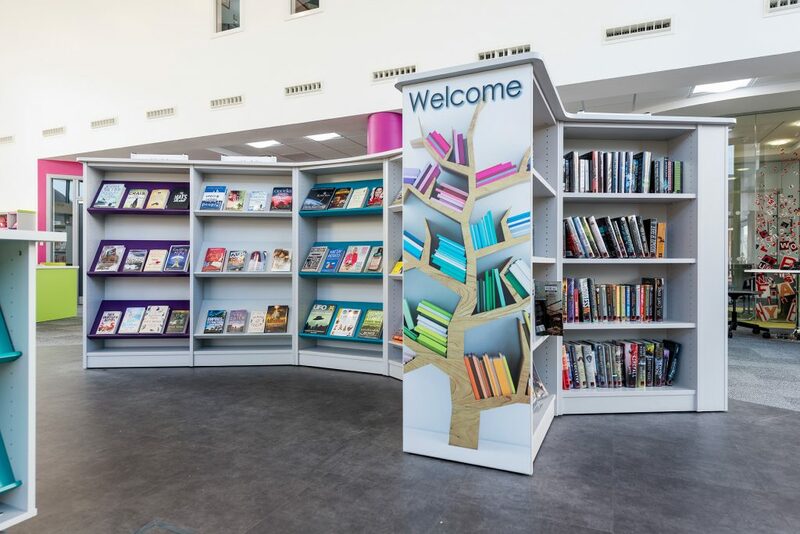 Kingston: Library opens to customers today — take a look around! Marisa works as a consultant on dozens of library space planning and furniture design projects as an associate of Kimberly Bolan and Associates. Her experience includes extensive background in product development, furniture project sales and architect and design market relationship development. This has given Marisa in-depth understanding of libraries, their spaces and the furniture needs.